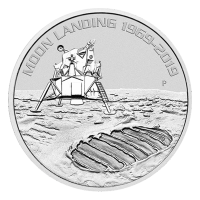 Reverse Kookaburra with full moon in background and the words " Australian Kookaburra 2018 1 oz 9999 Silver"
Kookaburra with full moon in background and the words " Australian Kookaburra 2018 1 oz 9999 Silver"
1 oz 2018 Australian Kookaburra Silver Coin When you buy a 1 oz 2018 Australian Kookaburra silver coin from our online store you’ll enjoy the lowest rate around! 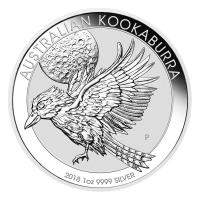 This beautiful silver coin is the latest addition to the longest running Perth mint silver bullion coin series, the Australian silver Kookaburra series which saw its first release in 1990. 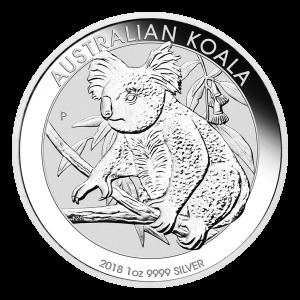 The coin’s reverse feature is a laughing Kookaburra on the wing; these Outback birds are so named for their call, which mimics the sound of human laughter. 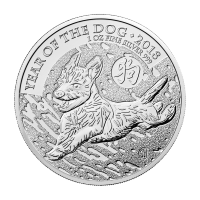 On the reverse field a huge full moon is visible and the entire feature is encircled by the coin’s title, its year of issue, weight and 9999 silver purity. The obverse portrait is that of Her Majesty the Queen, as crafted by Ian Rank-Broadley, complete with the finest details, down to the individual jewels of her crown. 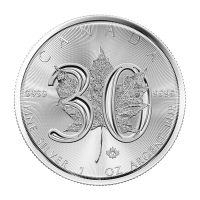 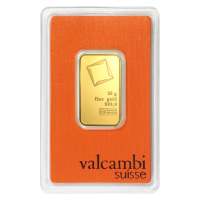 The obverse image is framed by the Her Majesty’s name as well as the denomination of the coin. With females of the species weighing up to 1 pound and reaching 18 inches in length, the laughing Kookaburra is the largest Kingfisher species in existence. 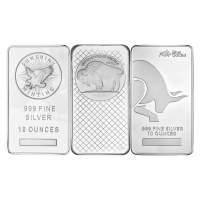 Add one of these heavyweights to your collection today when you order your 1 oz 2018 Australian Kookaburra silver coin.